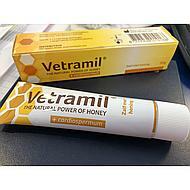 Vetramil Honey ointment is an ointment based on honey and essential oils. 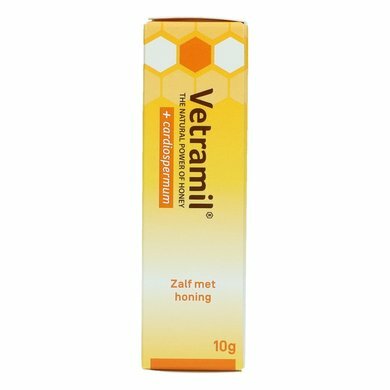 Composition: Cetostearyl alcohol, sodium lauryl sulphate, isopropyl meristar, paraffin, white petrolatum, honey, essential oils, Cardiospermum. Dosage and application: apply thinly once or twice a day. 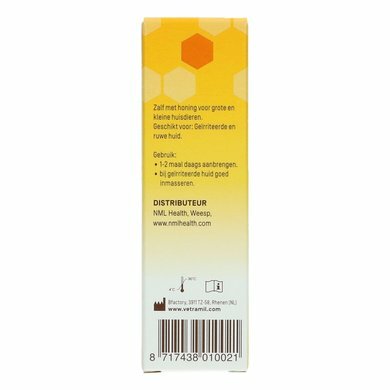 Pack size: tube 10 g in box with leaflet. 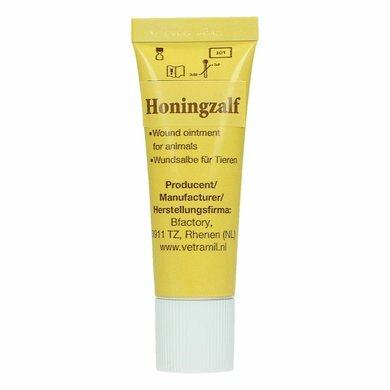 Ideal for small wounds, a good ointment to have in the stable. Always handy to have at home! 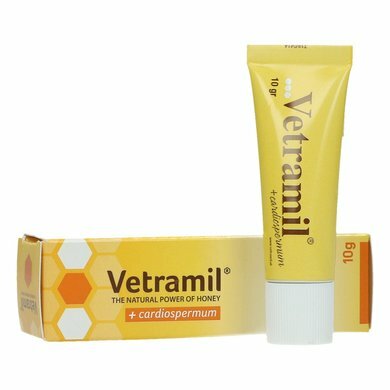 Very effective with wounds etc. Recommended! 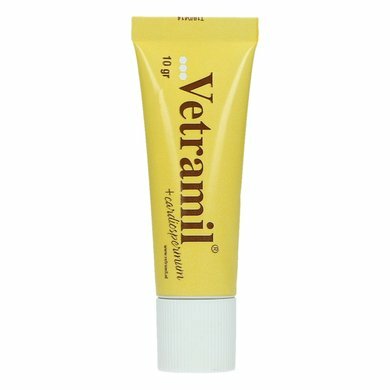 Smells fine, smells nice, helps the wound heal well without being greasy / putting a layer on the wound.